SOLD | TAKEUCHI Kimiaki | Ash Glazed Tokoname Jar — Dai Ichi Arts, Ltd.
TAKEUCHI Kimiaki 竹内公明(1948-2011) is an old master of Japanese ceramics from the city of Tokoname. He studied under EZAKI Issei 江崎一生(1918-1992) and helped revitalize Tokoname ware using local mountain clay and ash glaze. 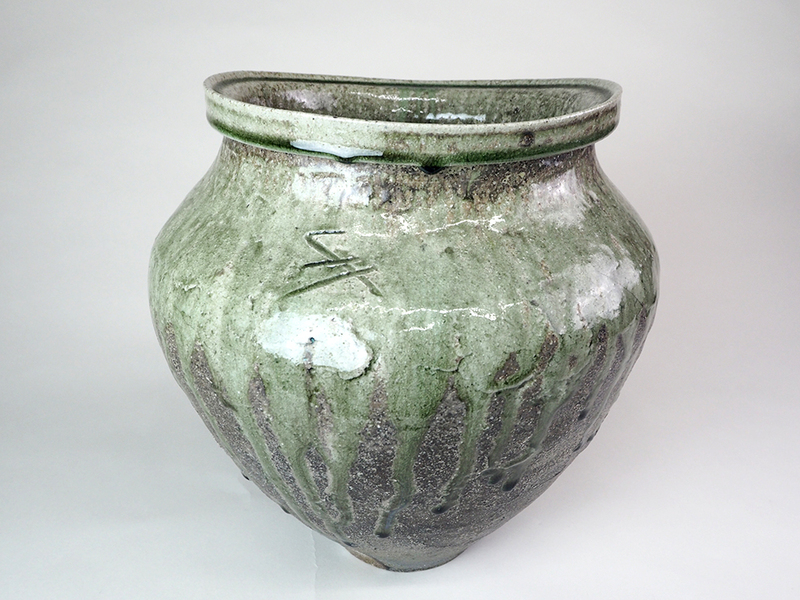 His forms are traditional, such as this wide-mouthed jar with a gorgeous green ash glaze. This lively color drips down from the shoulder of the vase, accentuating its elegant form. The wide mouth allows for a generous and spacious feel. This perfectly balanced vessel truly epitomizes the jar form, bringing together the beauty of earth and art.